Apologies for being so slow in updating this blog, but, well, I've been busy. Very busy, in fact, working on the third Concrete Grove novel - Beyond Here Lies Nothing - so that I can get it to my publisher in time. I'm sure the three of you who read this blog will understand how that goes. My first update concerns a new book. 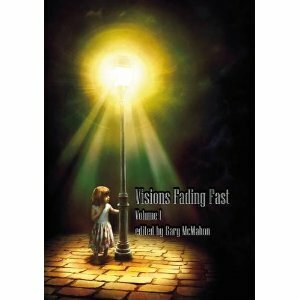 Visions Fading Fast, which I edited for Pendragon Press, is avaiable in paperback now. The nice hardback edition will follow shortly - I'm told it's at the printers now. The book contains brilliant long stories by Joel Lane, Nathan Ballingrud, Kaaron Warren, Paul Meloy and Reggie Oliver. Just pre-ordered "Visions Fading Fast", sounds great - love that cover art.